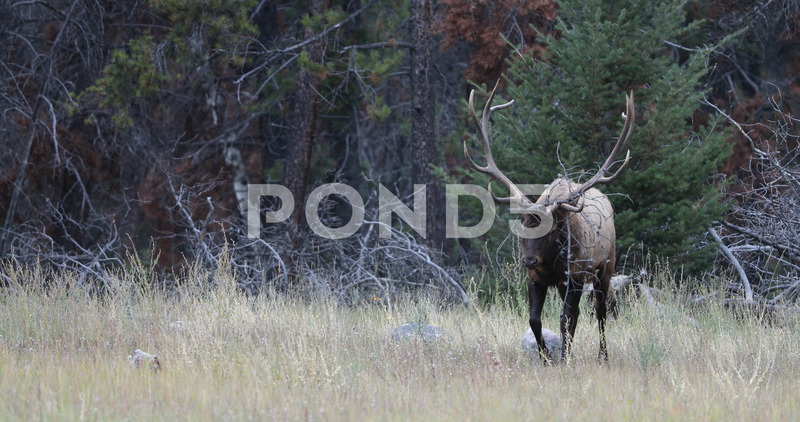 Description: A Rocky Mountain bull Elk emerges from a Canadian forest his rack filled with brush and limbs. He has an aggressive walk then turns and attacks a rival bull. This is the start of a fight that lasted for over 14 minutes. Massive bulls.